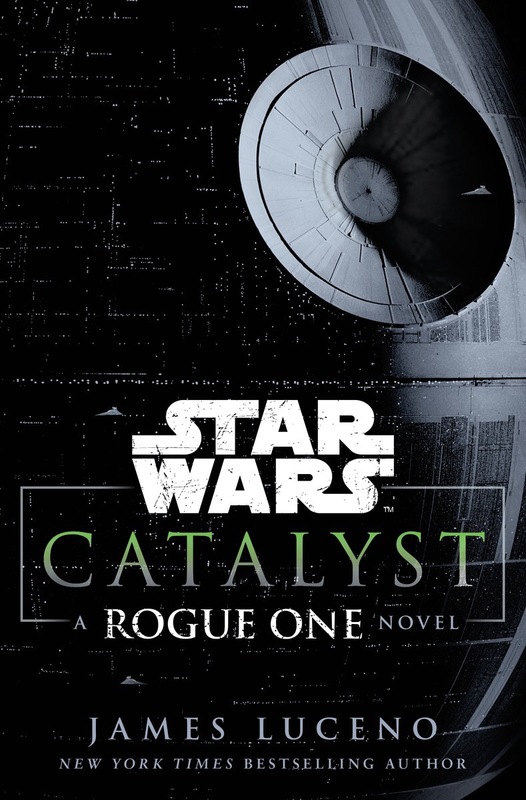 Set firmly between the films Revenge Of The Sith and A New Hope, James Luceno’s Catalyst features as a prequel to the latest movie in the Star Wars franchise, Rogue One. While some of the finer details may have been lost on me, a casual Star Wars fan, those more invested in the universe will, no doubt, find much to explore. And, this is what I enjoy so much about shared world, tie-in works of fiction; they can be enjoyed by nearly everyone. Catalyst (much like The Force Awakens) captures the essence of the original trilogy of films released in the late 1970’s. A healthy dose of political intrigue mixed with a massive, far reaching universe, all tied together with the fight between good and evil. Catalyst focuses on the emergence of the Death Star and the machinations behind its inception, much of it revolving around Galen Erso. Though trying to remain neutral in the war between Separatists and Republic, his genius and its value makes him a pawn in the growing conflict as the Empire begins to emerge. Ostensibly rescued from imprisonment by Orson Krennic, a driven and determined member of the Empire, Erso, along with his wife Lyra and daughter Jyn, swap one prison for another. Krennic is ruthless in his pursuit for success in the new order of things. Erso is a mere cog, albeit an important one, in realising a weapon so powerful that Emperor Palpatine won’t be able to deny Krennic’s significance. What follows is a compelling game of strategy as Krennic attempts to manoeuvre players to his whim, especially keeping the pacifist Erso working on his energy project while using the data to construct the Death Star’s massive laser system. The novel really picks up the pace in the last quarter as Moff Tarkin discovers that he is also being played by Krennic and begins his own campaign. Similarly Lyra, with the help of Has Obitt, another pawn, go off script. It is here that so many threads begin to coalesce into the bigger Star Wars picture. Rebel alliances form, the faceless Empire, epitomised by the Death Star, takes shape whilst the battle lines between good and evil are drawn on both a personal and intergalactic level. Though the idea of the Force and the Dark side are writ large throughout Star Wars, it’s also the individual decisions that are so important and James Luceno does a great job of putting such obstacles in the way of his characters. Erso must choose between his family and his research; Krennic between his desire for status and honesty; Has Obitt between smuggling and selfishness, and rebellion and selflessness. Catalyst is an absorbing novel that manages to consider both the intergalactic universe of Star Wars as well as the individual, all rendered against the background of the imposing Death Star. Whatever type of Star Wars fan you may be, Catalyst is a great read.